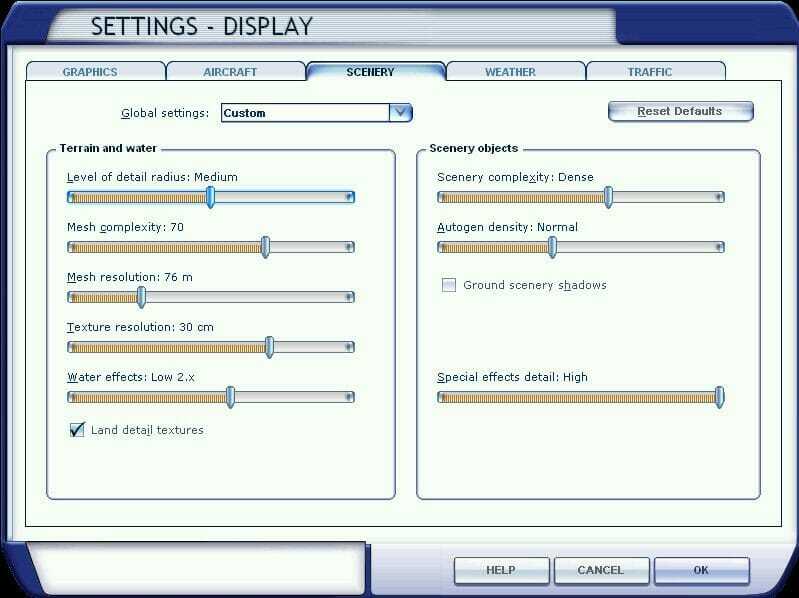 The screen shots below will show you the recommended settings for Microsoft Flight Simulator that we recommend for the use of our scenery products. You may need to adjust these settings to accommodate your hardware configuration where needed. Click on the CUSTOMIZE button to adjust the settings. PREVIEW DIRECTX 10 : Never turn this on! 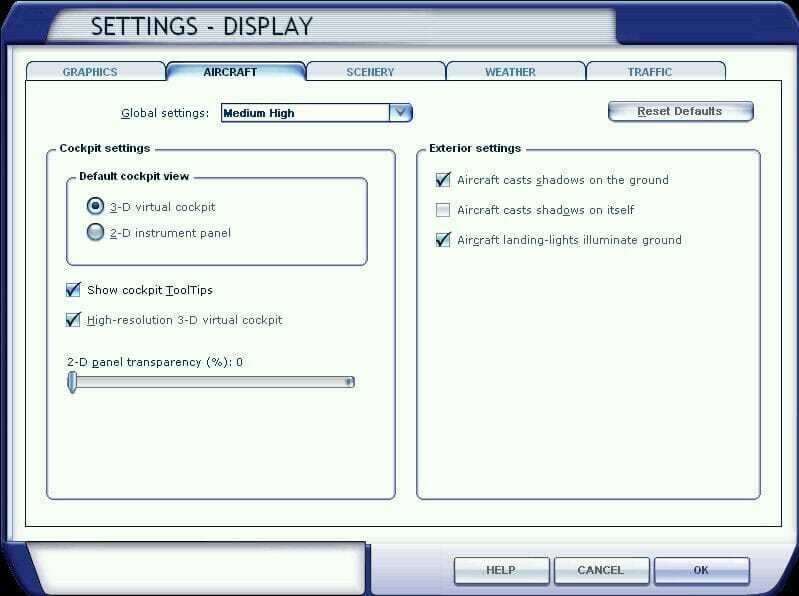 The Preview DirectX 10 feature was Microsoft’s idea to show us what Flight Simulator X will look like under DirectX 10. DirectX 10 Preview DOES NOT make your Flight Simulator DirectX 10 compatible! It is as the name says meant to be a PREVIEW, nothing more. It is something you turn on, drool over and then turn off again. You DO NOT fly your Flight Simulator X with the DirectX 10 Preview enabled as it causes all kinds of display problems. It was not meant to be turn on forever. The Full Screen Resolution should be set as recommended for your Display Screen. 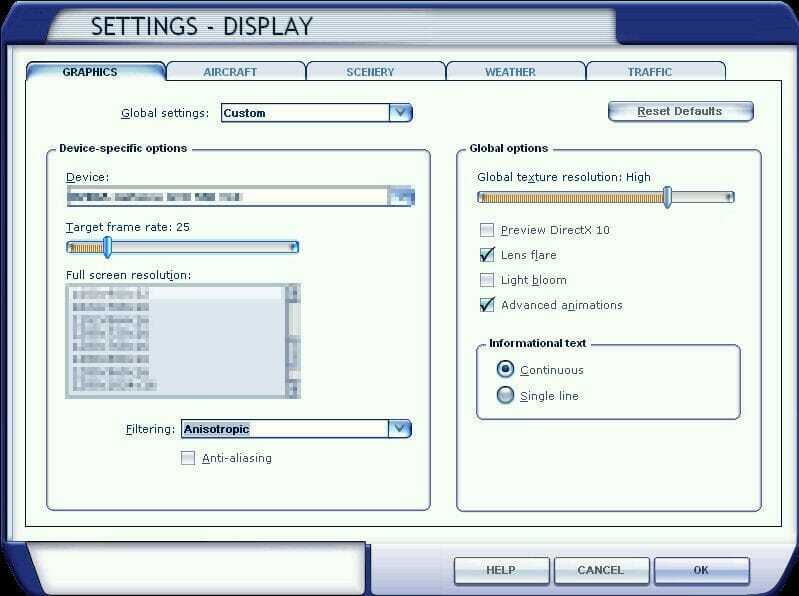 That means that if you screen as a recommended resolution of 1600 x 900, then that is the resolution you should run your flight simulator at. TEXTURE RESOLUTION AND MESH RESOLUTION UPDATE: We have learned that Flight Simulator auto adjusts the Mesh Resolution setting based on your texture resolution setting. If your texture resolution is at a setting of 60cm, then Flight Simulator will adjust the Mesh Resolution to 76m all by itself. A Texture Resolution of 30cm, will adjust the Mesh Resolution to 38m and a Texture Resolution of 15cm will give a Mesh Resolution of 19m and so on. Even if you set the Mesh Resolution to 76m and the Texture Resolution to 30cm as indicated above, Flight Simulator X will re-adjust the Mesh Resolution to 38m. 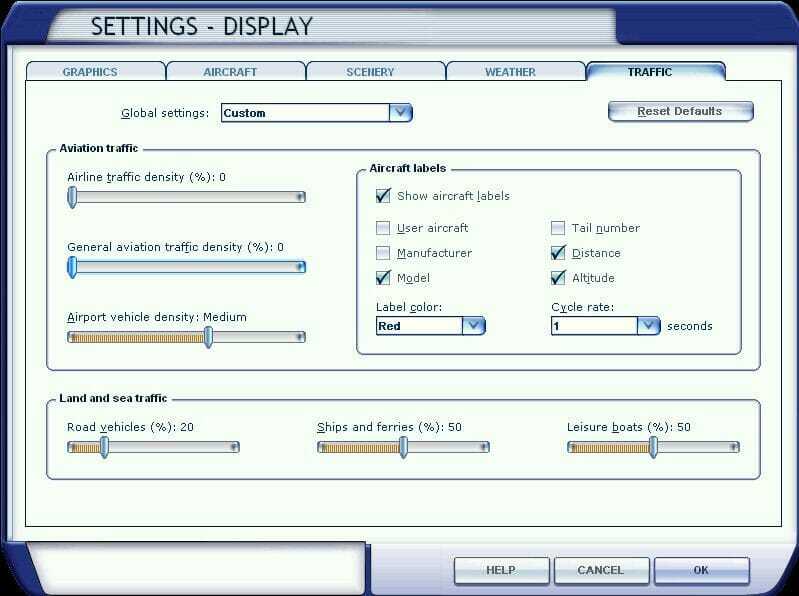 This is not a problem as FSX will simply display the mesh it has at the highest setting available. A 76m Mesh will for example only display at 76m and nothing lower.